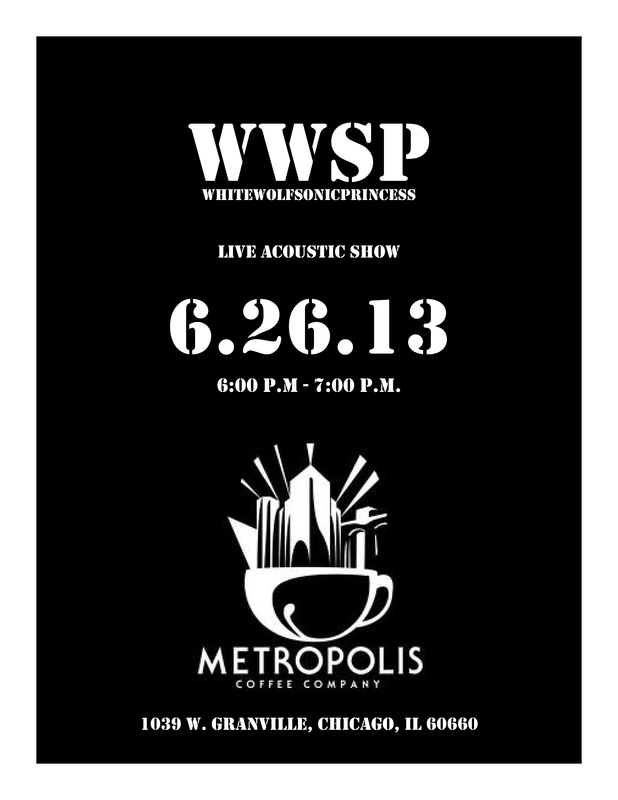 We did our Metropolis coffeehouse show yesterday evening. A few loyal fans came out to see us, and a few strangers stuck around to listen to our fiery little set. A coffee mecca on the North side of Chicago. Comfy and welcoming. One major upside to doing coffeehouse shows? The coffee! It was just a trio for the evening: acoustic guitar, violin, vocals. It was strange to hear some of our songs in such a stripped down mode, but it was great to hear Maria Storm’s exquisite violin playing- the sound swirled around and enveloped us. Carla sang and played her various shakers, tambourines and bells. I hammered away on my acoustic guitar with my usual abandon.